Coolsculpting is a revolutionary treatment uses very cold temperatures to destroy fat beneath the skin. It is a safe, non-invasive treatment that requires no downtime afterwards. Effective results coupled with a no-hassle procedure have helped CoolSculpting become one of the most popular body contouring treatments available today. Our body contouring center offers also SculpSure® as well as minimally invasive laser and power assisted liposuction. Unlike many other practices, we have surgeons with over 12 As one of the largest body contouring center in the area we have the knowledge, experience, and technology to help you get back your younger and more athletic body. Not sure which of Coolsculpting® or SculpSure® is better for you? CoolSculpting uses a technology called CryolipolysisTM to safely kill unwanted fat cells in areas where fat has accumulated. A CoolSculpting session lasts about 2 hours and does not require any anesthesia. At the beginning of the session, our doctor positions the cooling applicator above the targeted area. The skin is then drawn into the applicator and the cooling process begins. During the treatment, it’s normal to feel a cold sensation, but most people do not find it painful or uncomfortable. There is no downtime required after CoolSculpting. Patients may experience some redness, bruising, and sensitivity in the treatment area, but this should not restrict them from resuming normal activities. In the weeks following the procedure, your body will naturally eliminate the destroyed fat cells, which reduces the thickness of the fat layer in the targeted area. Most patients begin to see results in just three weeks, with most dramatic results seen after two months. Fat will continue to be flushed from the body for up to four months. As the fat disappears, you will see the new contour of your body. Additional treatments can be performed until the desired result is achieved. CoolSculpting is a body contouring treatment that is appropriate for individuals with isolated areas of fat who are close to their ideal body weight. CoolSculpting should not be used for weight loss or as a treatment for obesity. At Ringpfeil Advanced Dermatology we are one of the few offices in Philadelphia to offer both Coolsculpting and SculpSure. Both devices offer their own share of pros and cons and our expertly trained team of board-certified doctors can share their expertise to decide the best treatment plan for you. Our doctor takes the time to ensure that her patients understand what can be achieved with CoolSculpting so they will have realistic expectations for the treatment. If you’re ready to shape your ideal body, we encourage you to meet with our dermatologic surgeon to discuss your goals. CoolSculpting can help you get the body of your dreams without undergoing surgery. To learn more and set up an initial consultation, please contact our Philadelphia office today. Learn about how Kybella can reduce the appearance of a double chin. Please feel free to use the blog below to share information about CoolSculpting® / SculpSure® or to ask Dr. Franziska Ringpfeil a question that might be of interest to others. I just want only one treatment of SculpSure for my abdomen, and I have Medicare. How much would this procedure will cost me, out of pocket? SculpSure is usually based on two treatments in the right candidate, unless it is used to smooth out skin with rare side effects after Coolsculpting or liposuction. Cost per treatment depends on extend of abdominal adipose tissue that is treated, e.g. upper or lower abdomen or both. It could be between $900 and $2200 per treatment. We would need to evaluate you to provide a specific price quote. I have a pacemaker, can I still do this treatment? A pacemaker is not a contraindication to SculpSure treatment. I have been on steroids, now a low dose (4 mg daily), for almost 15 years because of an autoimmune disease. I developed “fat pads” on the lower part of both sides of my neck, leading into my shoulders, and on the back of my neck associated with the steroids. Is this anything that SculpSure could help? While this is an off label use, SculpSure might be possible. You would need an in-person evaluation for fitting of the laser pads with your consultation. I had a periumbilical hernia repair ~10 years ago (not sure if mesh repair or not)–is it ok to get Sculpsure for an area of lower abdominal fat that is close to, but below, the umbilical area? BMI is 19, if that matters. Thank you! SculpSure would be feasible as long as the treatment area does not have a scar. A mesh does not usually extend widely beyond the umbilical hernia repair site and is not usually made of metal for this purpose. A metal implant would be a contraindication to laser use. If in doubt, it would be best to speak to obtain clarification from the surgeon who performed the umbilical hernia repair. I’m interested in SculpScure procedure for the abdominal area. How many sessions are required? Is the estimated price shown per session? There is not usually any recovery time. The most common side effects are a little achiness for a couple of days resembling sore muscles after work put or a slight bruise for a few days. There should be no other downtime. Cardiac problems are said to increase if waist size is over 35 inches in women. If waist is 41 Sculpsure is done does that lessen the cardiac risk? The amount of peripheral fat does not correlate with cardiac risk. Cardiac risk is associated with the amount of visceral (internal) fat. For example, Sumo wrestlers who carry an enormous amount of peripheral fat. They train 7 hours a day and have no visceral fat. They are not at risk of cardiac disease at the heights of their careers. SculpSure only treats the peripheral fat. 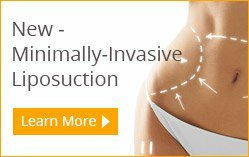 Is SculpSure safe for me to undergo if I have Fibromyalgia? Are you able to do it around the knees? I am 69 yrs. old. SculpSure is not contraindicated with fibromyalgia but we do not recommend it. SculpSure itself can cause some discomfort and it is unnecessary to potentiate pre-existing pain. I have a large amount of fat I would like to get rid of. My BMI is about 43,is there a restriction? If you do not get approved for care credit, is there any way that you can still arrange for a payment plan as a current patient? You may contact our office manager about an individual payment plan. I was very happy with the care I received.